THE CUA Brisbane Flagship Store was conceived as a Pop-Up, Pop-In Street Bank Concept. 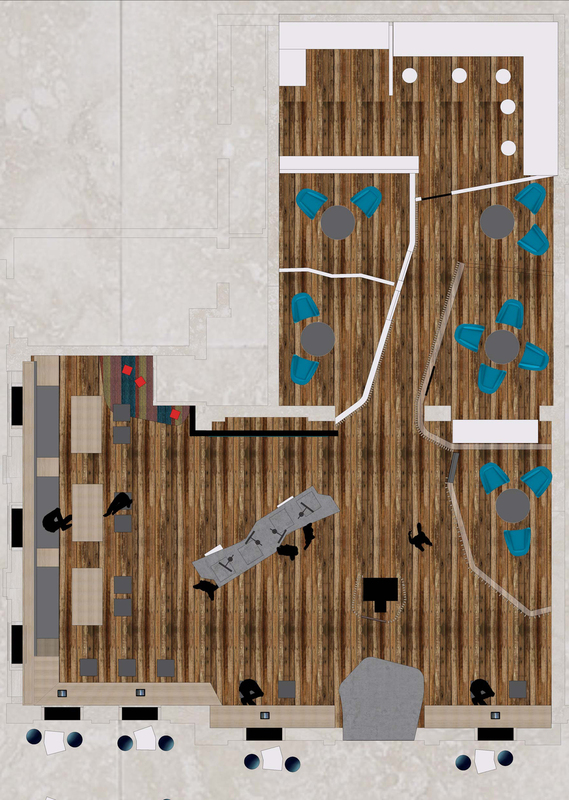 This store concept proposes a banking space made of two parts; a traditional interior banking space and a smaller exterior banking foyer or ‘Street Bank’ pavilion or installation. 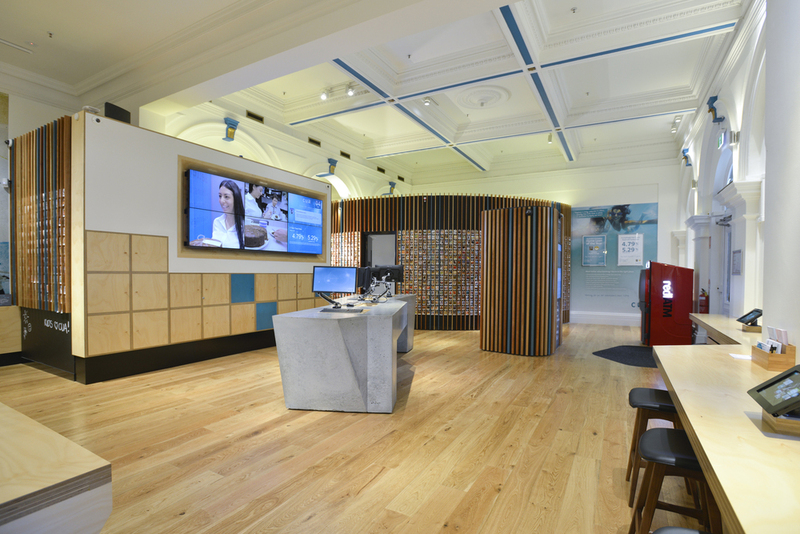 This part of the bank is designed to be very flexible and to respond to changes in banking and customer requirements. 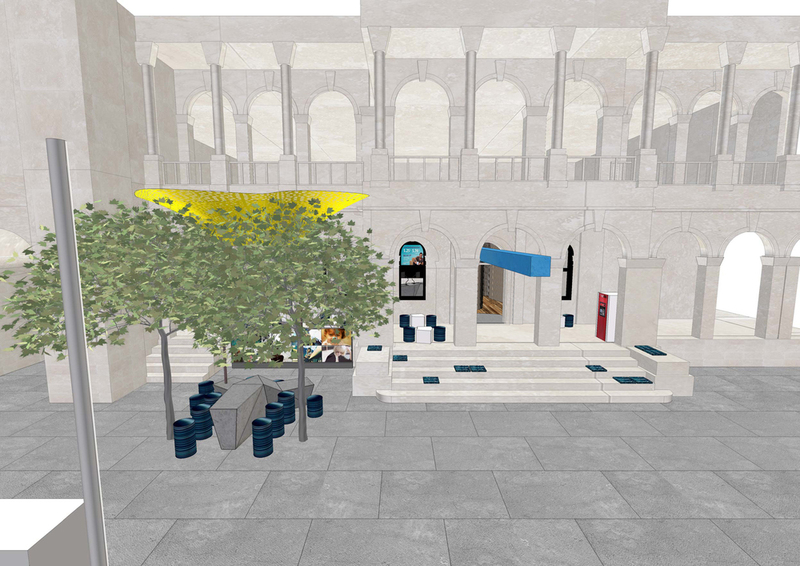 The street bank provides a ‘Meet and Greet’ banking module, an anti-chamber that attaches to the entry of the traditional banking space, introducing the bank and its service proposition. The street bank’s core role is to position the brand, promote visibility, draw customers in and engage the surrounding community also bringing the CUA community outside. The street bank brings banking information and services out into the street. The two parts are digitally connected to ensure a smooth queue and enquiry handling and an enjoyable customer experience. 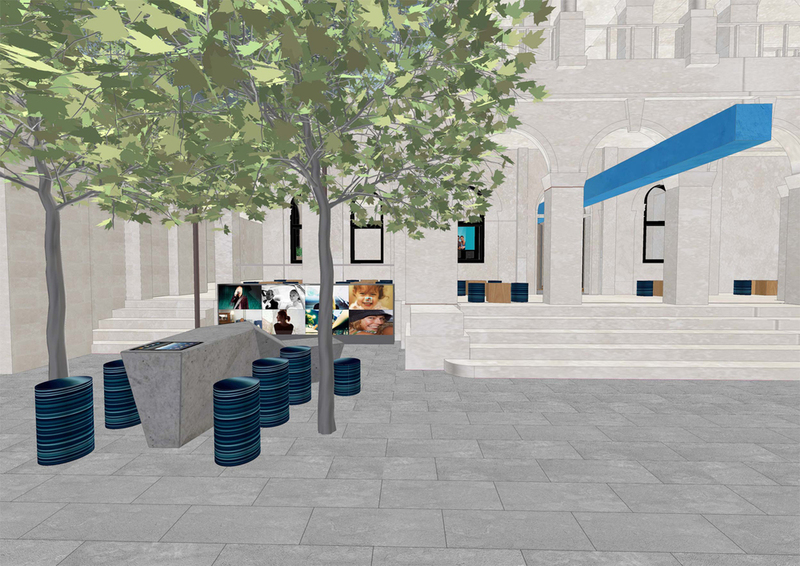 The street bank folds in the café and an outdoor waiting space, positioning the CUA brand, providing a concierge, digital engagement points, product information and an ATM cash service along with an outdoor or pavilion space for multiple uses including chill out cinema-information zone and a digital feedback/game zone. The street bank is made up of durable storage modules, awnings, digital display points, fold away chairs, stools and umbrellas. 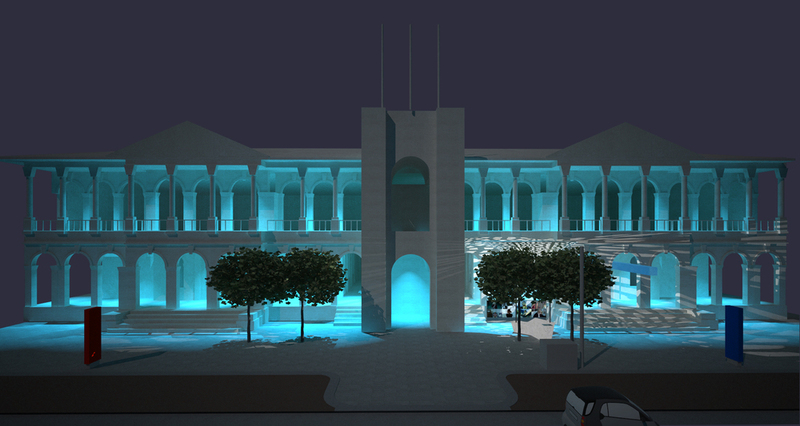 To develop the architectural concept we firstly identified the key themes and deliverables that are consistent with the values and that fit with this location and the opportunities. We wanted the spaces to reflect the importance of the customer. The street bank is an extension of the bank’s presence out into the street to provide real value for customers in terms of services and information and to allow for input and feedback from customers. 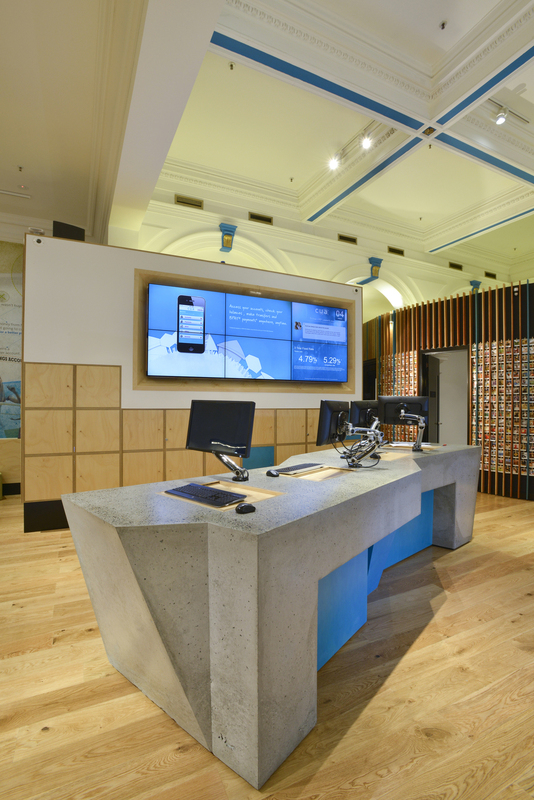 The street bank concept allows the bank to present its wares to customers as they move about Brisbane. Customers and passers by are casually informed by what CUA has on offer and is doing. 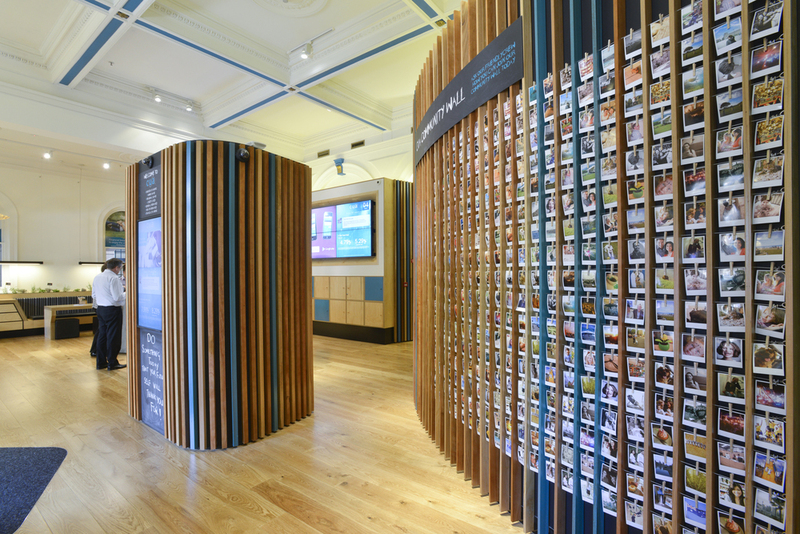 We wanted to allow the bank to give back to the city of Brisbane by providing a space with amenities for exhibitions and the exchange of new ideas, in a city that is vigorously grasping its future. We developed a landscape of tools to deliver the desired experience. These included a Conversation Totem to display digital messages and inform passers by about new offers and events. We proposed a street lounge. Informal chill out seating and coffee is to be provided for waiting customers or those reading information or enjoying the sun. 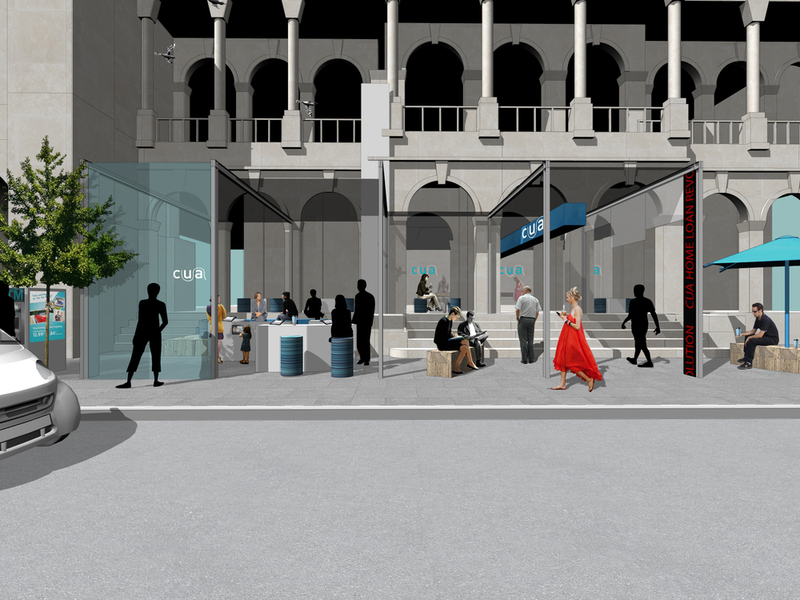 We have proposed a street gallery space where Brisbanites can watch digital content created locally and show work in public.